Oh what a weekend that was!!! 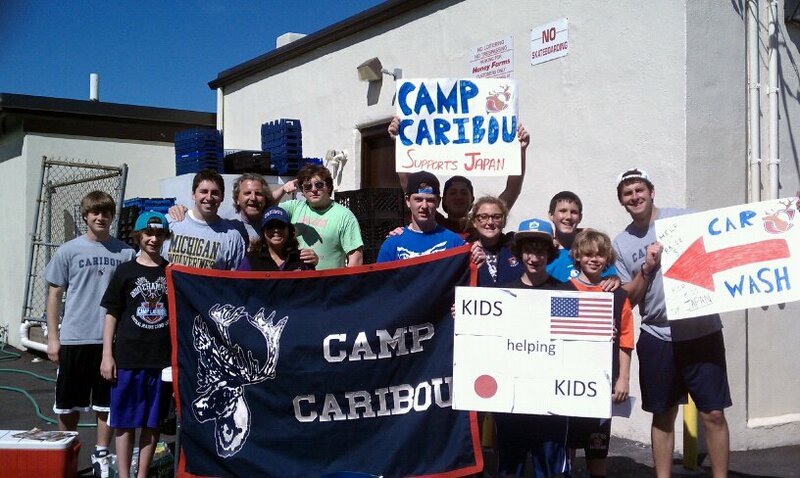 Caribou hosted a fundraiser car wash at Liberty Pizza in Wayland, MA this past Sunday in support of the “Save the Children of Japan” organization and the efforts of the American Red Cross disaster relief for those in need after the Tornado Outbreak of last week. 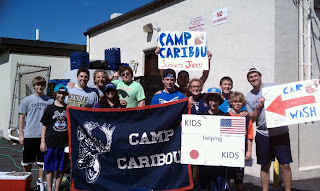 The Caribou car washers were in full force: Tyler Swartz, Adam Block, Mitch Kaufman, Max Lobel, Charlie Rotman, Henry Forman, Jay Maxwell, Jack Long, Lucas Long, Dylan Hyde, Cam Hyde, Parker Dow, Sam Cohen, Alex Cohen, Bill, Martha, Lori, Jerry and Rotman all came out for a great cause. The day couldn’t have been more perfect with the sun shining and loads of Wayland residents coming out in big way to support these great causes. In this two hour event, we raised $500 dollars for the children of Japan!!! And it doesn’t even stop there as Caribou will be matching the proceeds and donating to the American Red Cross – Alabama Disaster Relief Fund. Though this couldn’t have happened with out the big support from Liberty Pizza, we want to give them a big THANK YOU from the entire Caribou family!!! We even had special guests come by… Alumni Derek Brisson, Ben Damm, and Eric Goldberg (GOLDIE), thanks for coming out guys and supporting the Bou! !